With a fresh approach to an ageless sound, The Firemen is a cappella music the way you like it… upbeat, in your face and stuck in your head. This self-titled album includes ten songs, including three covers of songs originally performed by Steven Curtis Chapman, Michael W. Smith and John Michael Montgomery. 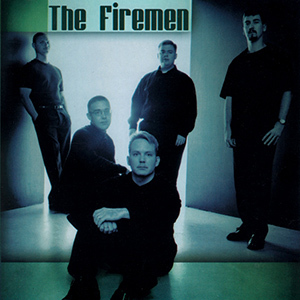 In 2002, The Firemen was chosen by the Contemporary Acappella Society as Best Religious Album, tying with Acappella’s Hymns For All The Ages. DG167-01 -- The Firemen -- 1 Can I Come? DG167-02 -- The Firemen -- 2 Can You See His Blood?